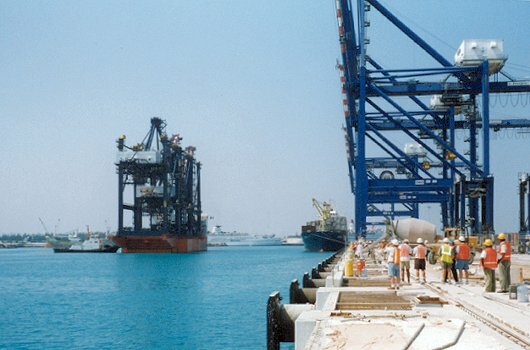 In September 1999, the DOCK EXPRESS 12 delivered three 4-th generation container cranes to the Phase II extension of the Freeport Container Terminal, Freeport, Bahamas. 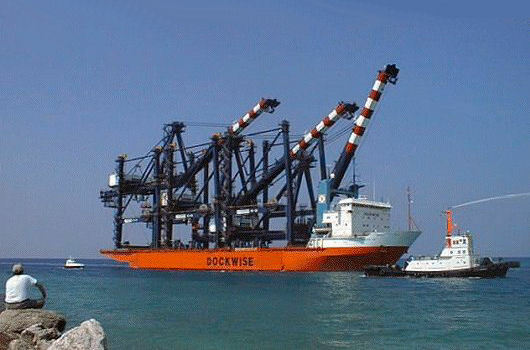 The cranes were built by Hyundai Heavy Industries in Korea and Dockwise was contracted for the delivery. 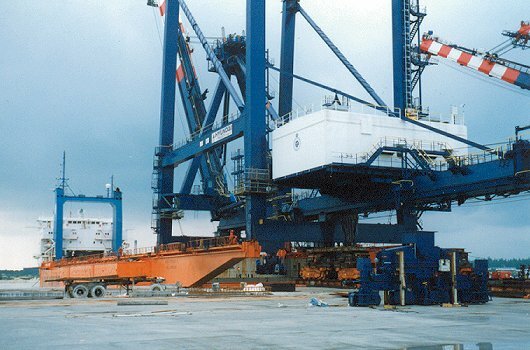 Because of the Panama Canal passage with its 205 ft height restriction for the Bridge of the Americas, these cranes were transported only partly erect, with their fully assembled top sections temporarily secured low between the legs at different levels to allow for efficient nesting of the cranes. 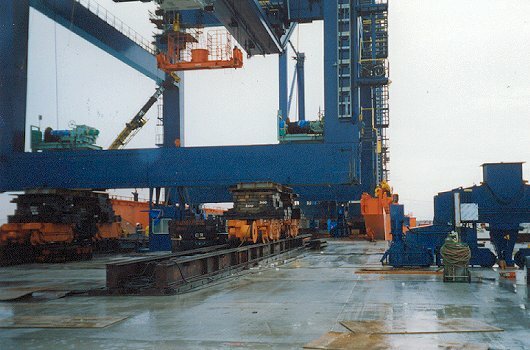 Argonautics Marine Engineering, Inc. was hired to supervise the offloading. 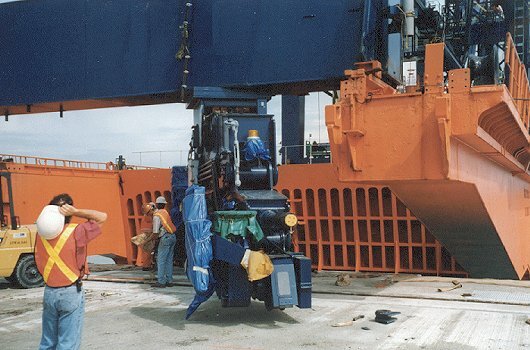 After removal of the boom supports and tie downs, the 1,100 t cranes were skidded aft over the ship's outriggers until the crane's landside sill beam could be lowered onto a set of jack boogies, which moved the crane further over the quay. Once in position, the waterside sill beam was temporarily supported by wood blocks, enabling the ship to move forward. The waterside was then picked up again and the waterside trucks could be rotated and lowered onto the rails. The landside was then jacked up for installation of the landside trucks after which these were also lowered onto the rails. After 2 days preparations, these three cranes were offloaded in 3 consecutive days. Provision of on-site supervision during offloading operation.